NewTV’s Annual House of Haunts event is coming up. It’s that time of the year again when ghouls and goblins will be out looking for a scare! NewTV’s third annual House of Haunts is a free family-friendly event offering fun and games for the kids, a costume parade, and a scavenger hunt. 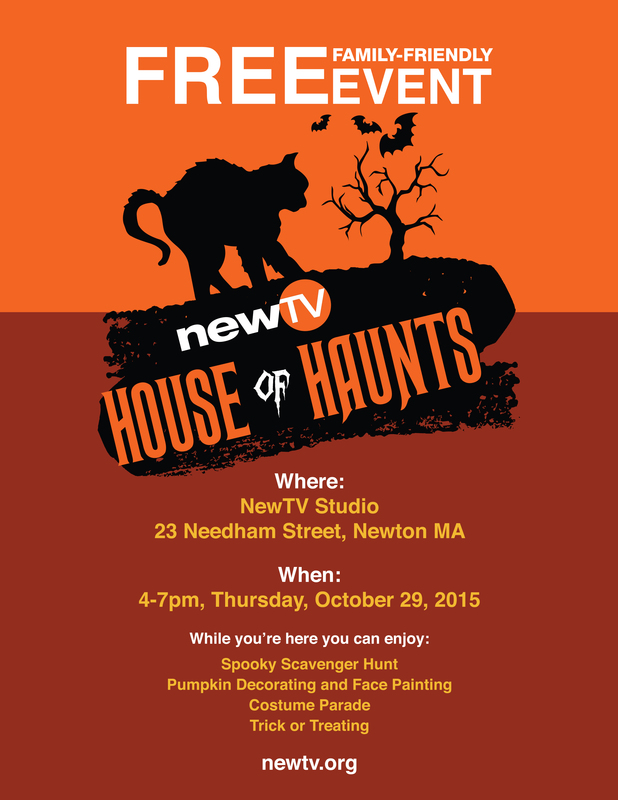 The event runs from 4:00pm-7:00pm on Thursday, October 29th, NewTV Studios 23 Needham Street. For more information, visit here.